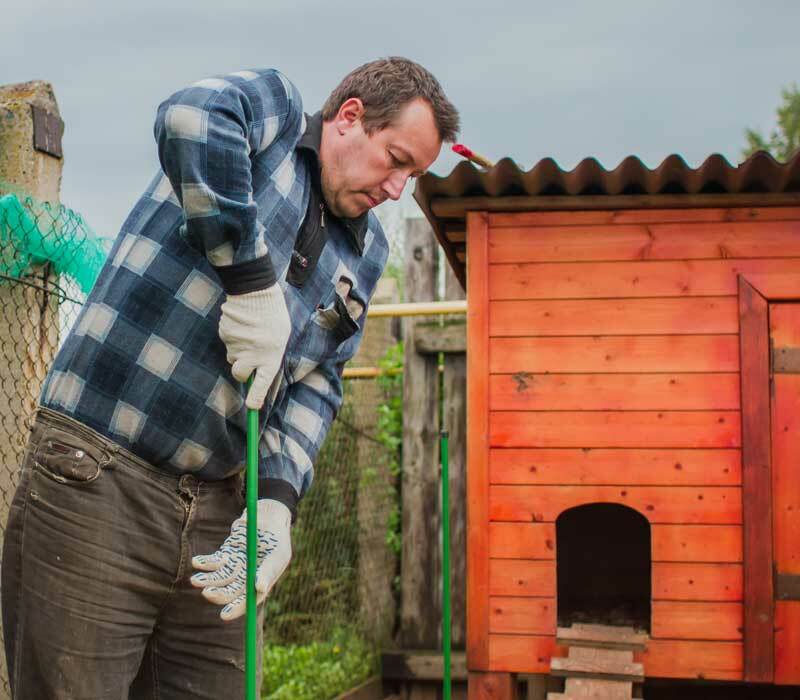 In poultry breeding it’s vitally important to control birds’ shifts in grounds in order to prevent potential harm to a vegetable garden or a lawn, which fidgety creatures may cause, as well as to protect domestic fowl from contacts with wild birds, which may transmit diseases or produce injury. 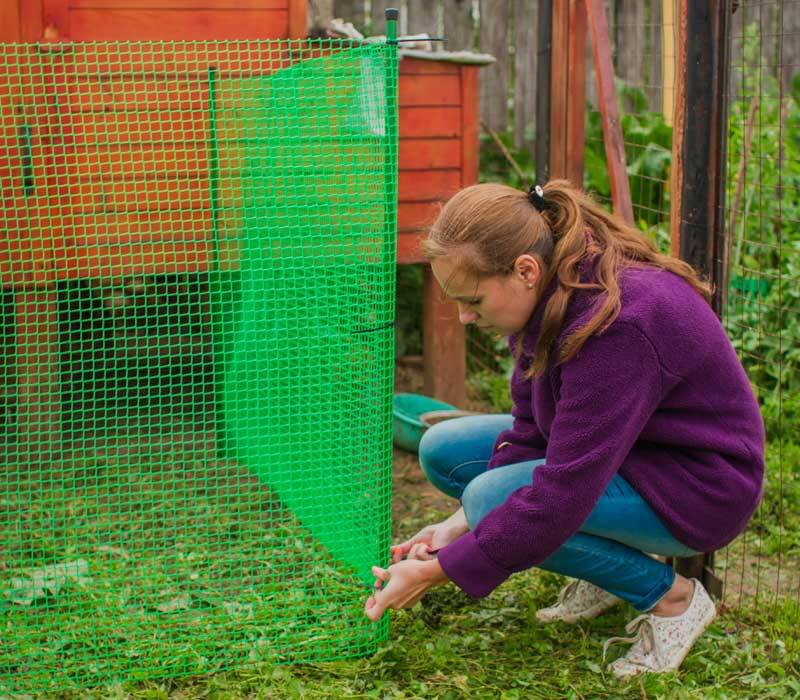 Flexible plastic mesh with small cells is used for building a poultry run for domestic fowl, and also for the construction of a chick cage. Such structures are lightweight, feature easy installation and transportation, and what's more they are quite durable! 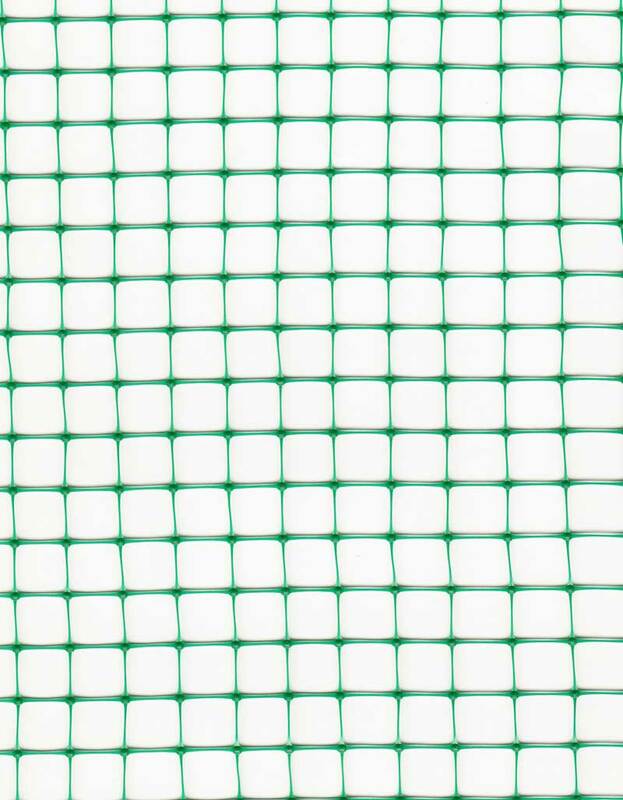 Plastic nets don’t suffer from corrosion; they are lightweight and harmless, easy to install. Plastic net for poultry run construction is easy to handle. 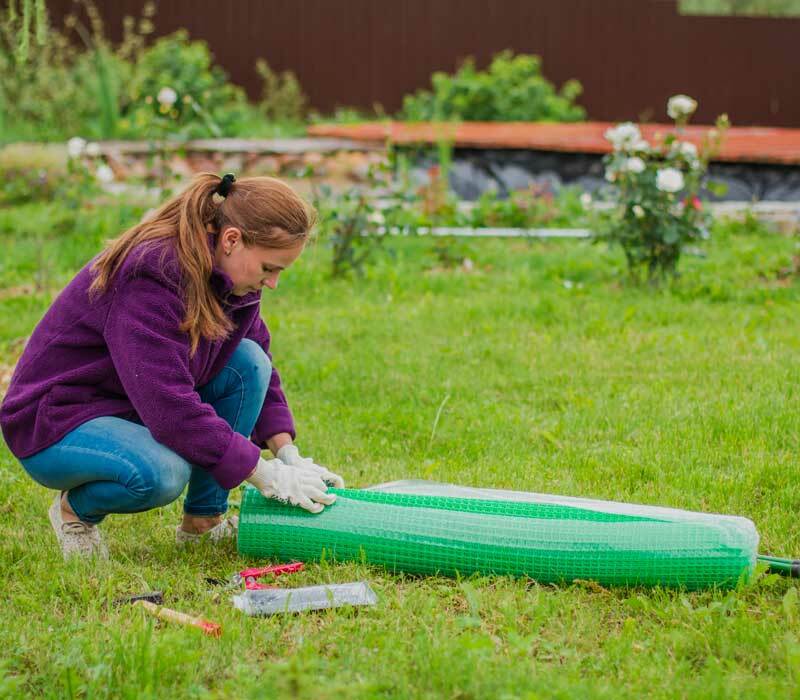 In fact, it's quite enough to set some wooden or metal posts along the perimeter of a plot and attach the net to them. The height of the poultry fencing is 1 meter. 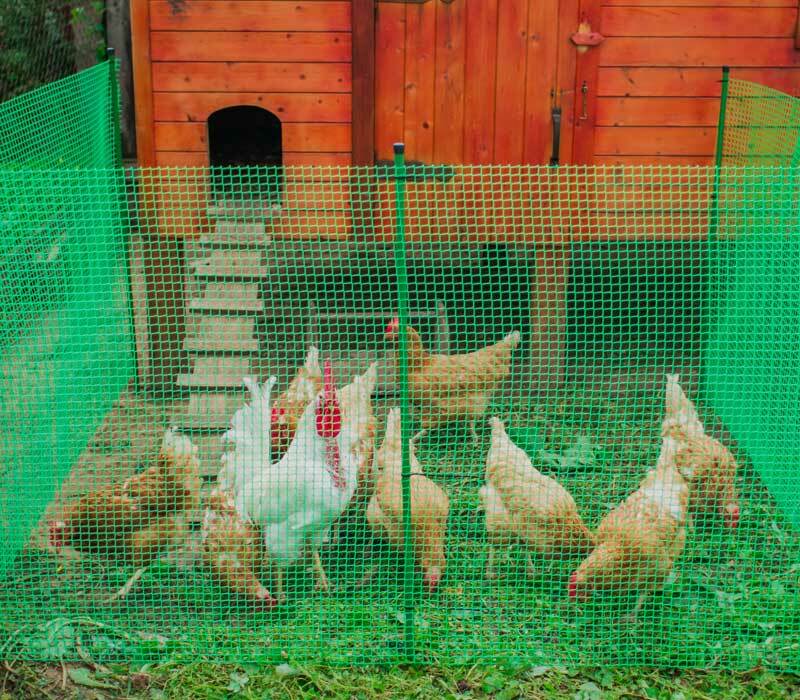 One may cover the top of poultry run with the net too, in order to protect small species from avian predators and save poultry feed from being eaten by unwelcome visitors. 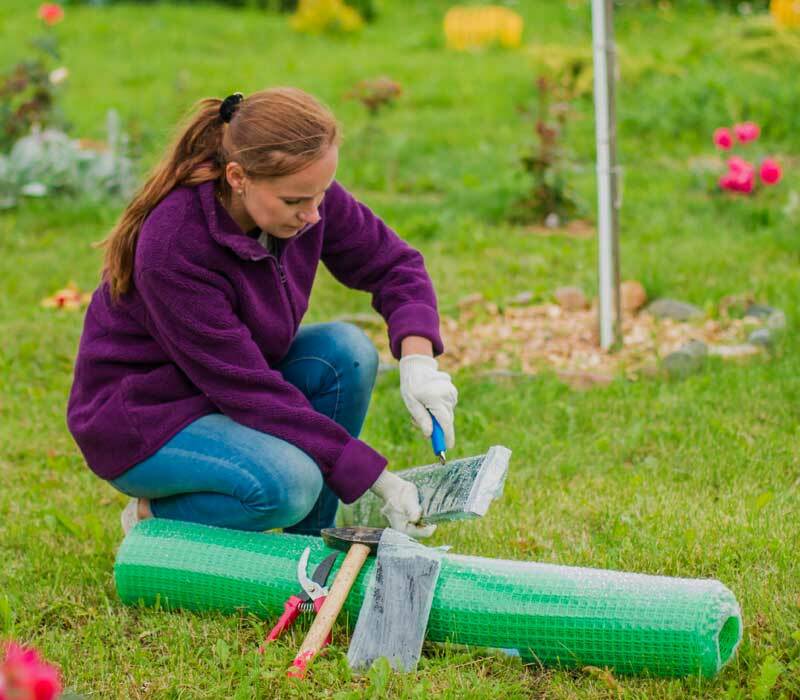 For the installation of standard poultry fencing you will require: 1.5 meter tall posts (for the 1-meter wide net) or 2.1 meter tall posts (for the 1.6-meter wide net), plastic cable ties (may be replaced by pieces of wire). The number of materials depends on the extent of your future enclosure. Choose the most appropriate place for poultry run in your area. Drive posts into the ground with the spacing of about 2 meters. 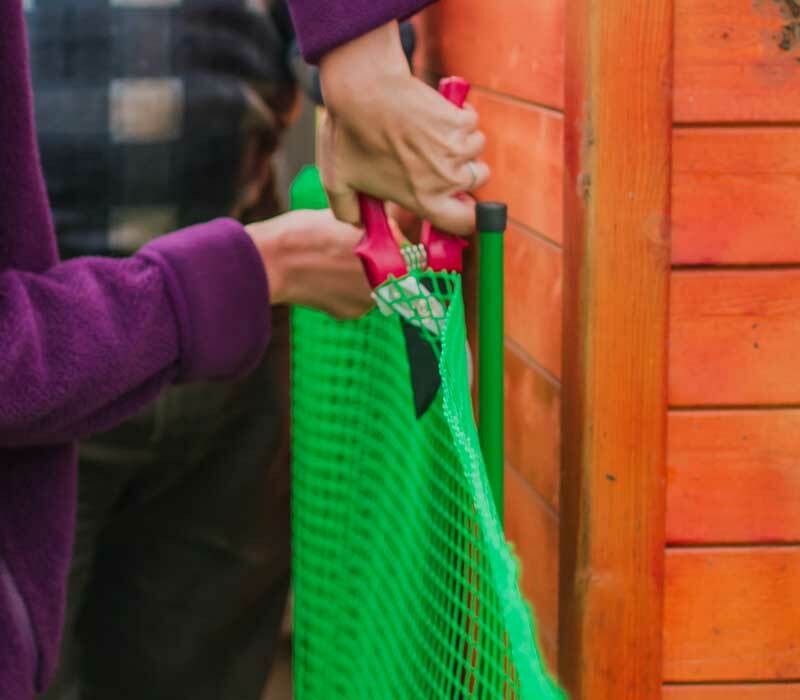 Attach the net along the whole perimeter fixing it with plastic ties (or metal wire) to the posts. 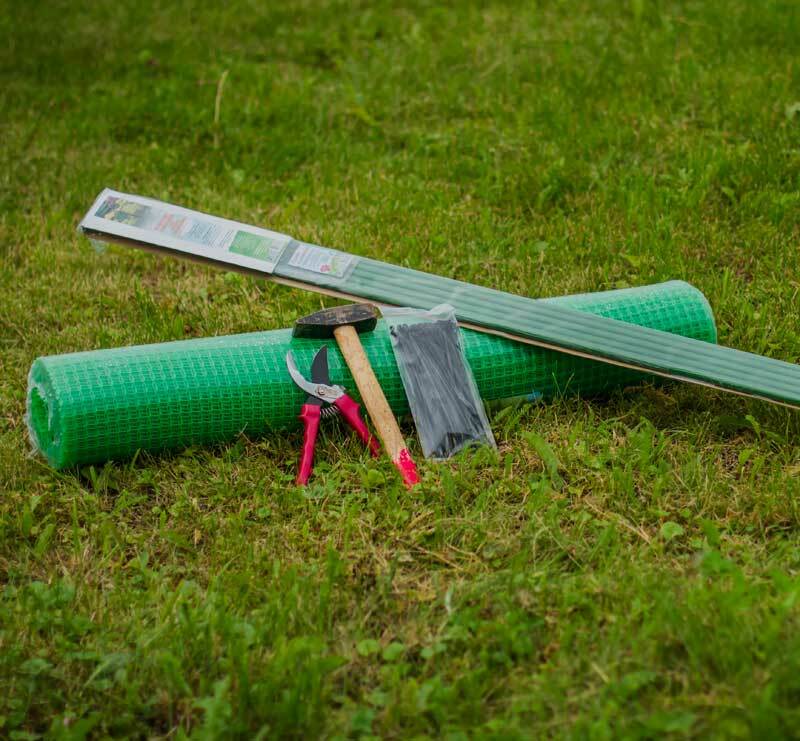 Let one span to be narrower – about 1 meter wide – it will serve as an entrance, only one side of it must be securely fixed to the post, the other side must be equipped with removable fasteners, which can be easily bent of wire.